A coin and a card purse should look as classy and elegant as your bag to keep things in sync. 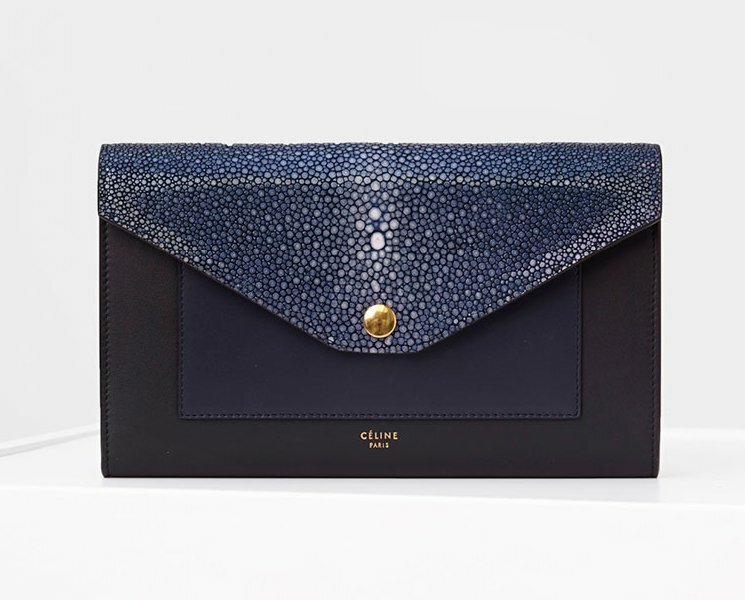 If you haven’t seen that one particular coin and/ or card purse, look no further as Celine offers one solution to your problem with its Solo Coin & Card Purse on Chain. The Solo Coin & Card Purse on Chain in bi-colors, crafted in smooth lambskin with calfskin lining is the perfect addition to your bag! Imagine no longer feeling a little embarrassed pulling out your purse from your superb signature bag. The design of this coin and card purse is minimalist and that’s the reason why we keep featuring these Celine creations since the simple approach really works best for these kinds of leather accessories. 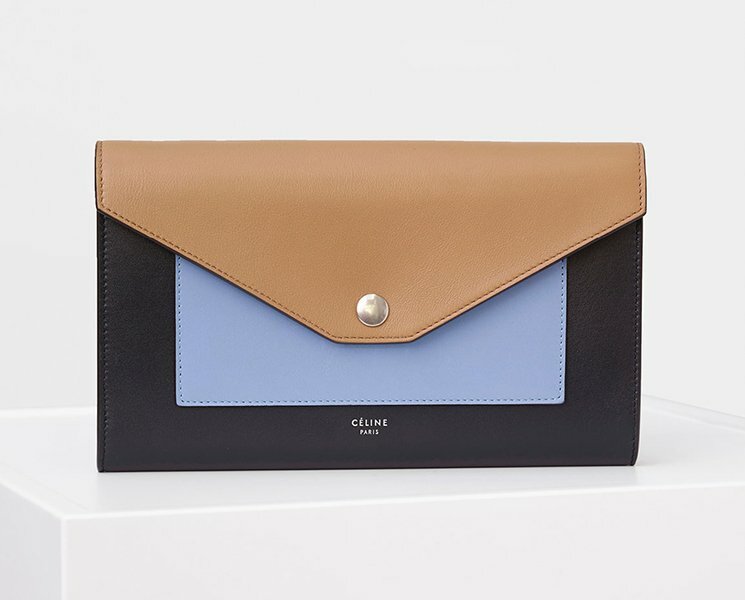 Priced at $375 USD, €250 euro, £220 GBP, $475 SGD, $2900 HKD, ¥39000 JPY and is available via Celine boutiques. If we take a moment to flash back and see what Celine has done in the past years, we’re thinking about these bags; the Tie Bag, Belt Bag, Ring Bag or the Trotteur Bag. They’re stunning, but none of them can match the fame of the Luggage Bag, or the Trapeze Bag. But all of that can change in the future. Celine has introduced new handbags during the Spring Summer 2017 Runway and they look very promising. It’s the ultimate minimalistic bag, just how Celine likes it. Designed in single colors, but there are different shades for different taste. Feminine and casual, these bags are perfect for work as they match very well with chic clothes or suits. For the finishing touch, attach a small pouch around the handles, so that you will an extra pocket for instant essentials. So the Spring Summer 2017 Collection is either about professional bags or oversized bags. And when we say ‘oversized’, we literally mean XXL beyond your imagination. Take a look at this extremely-long tote bag. It’s gorgeously crafted with more spacious than you ever need, take it for shopping. We also love the golden rope crafted around the hip of the bag. So what are your thoughts? A good investment or not?